We've done all the legwork for you! 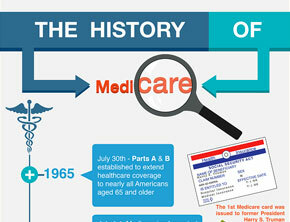 Understanding your Medicare options can be overwhelming. With mountains of information to sort through, unfamiliar lingo and a multitude of choices and healthcare insurance carriers to choose from, finding the right health insurance plan at an affordable price can feel rather daunting. Some people respond by procrastinating and risk incurring potential late penalties. Let SeniorQuote help you make the right choices. SeniorQuote simplifies this process in just three easy steps! Did you know that where you live can affect how much your insurance will cost? Not only that, different carriers in the same area can also have different cost structures. With this in mind, it is critically important that you shop around for the right plan at the best price. But with dozens of plans to compare for coverage and pricing, you can see how much time, energy and diligence it takes to select a plan. In a single phone call, a SeniorQuote Licensed Agent will carefully review your needs with you then shop more than 30 insurance carriers, doing all the legwork to thoroughly compare them for you. You’ll get an expert recommendation you can trust and can rest assured you’re making a good choice to cover your insurance needs at the best price possible.